Cleo Huang is a partner at Dickson, Stojak, Huang, Chartered Accountants. Joining the firm in 2003, Cleo specializes in developing resourceful and strategic solutions for both family and privately owned business owners. Her passion is to help business owners achieve financial freedom by building sustainable value in their business endeavors while providing time to enjoy life and gain a sense of achievement throughout their business careers. Cleo has particular expertise in providing Business Transition Services, assisting business owners in achieving a smooth and successful transfer of their businesses to successors at maximum value while maintaining the legacy they have created. Her clients range from many business sectors including construction, manufacturing, hospitality, retail and agriculture. 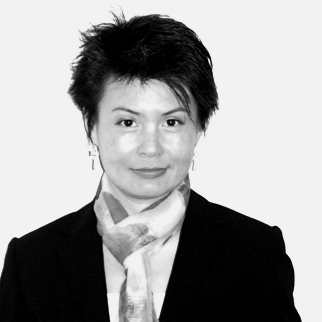 With extensive knowledge in the Metro Vancouver marketplace, Cleo works in locating the right business opportunities for investors – particularly Asian investors – guiding them through the entire acquisition process. After acquisition, Cleo works with her clients, providing them with expertise in managing and growing their businesses. Holding a Bachelor of Technology, Cleo was drawn to the accounting field by the opportunity to work with a variety of business owners and learn about their industries, business operations and life experiences. She loves the way her position of trust allows her to help guide her clients and create workable financial and tax effective plans that enhance their entire family’s wellbeing over generations. Away from the office, Cleo enjoys practicing yoga and is an enthusiastic backpacker. She has hiked in many Canadian and U.S. national parks, and looks forward to exploring many more of these wonderful natural environments. Cleo would also like to take in the majesty and stark beauty of the Arctic and Antarctic regions in person one day.